Think you may have a stress fracture in your foot or leg from running? Here are some simple tips on what to look for to help differentiate a fracture from a soft tissue problem such as a tendonitis. Why then are we seeing the reports of people getting stress fractures from minimalist shoes and running barefoot? Because they transitioned way too quickly and created an overuse phenomena that their foot was not ready for. It is no different then going to the gym and doing 300 bicep curls. You will overtax muscles that haven’t adapted and put excessive stress on the bones of the foot from faulty biomechanics as a result of fatiguing muscles. So how do we tell the difference between a boney problem and a soft tissue problem? Tendonitis tends to hurt more upon arising in the AM and then subside as we move around only to become painful again later on in the day. It may even feel great during a run, but towards the end, and especially after become more painful. When suffering from a chronic tendonitis you may actually have good days and bad days associated with activity and the healing process. Surprising as it may sound, complete rest is not always best for a tendonitis. Tendon repair actually occurs when positive stress is applied in a controlled manner such as with physical therapy. Stress fractures will often present with constant pain that lingers most of the day and doesn’t improve with running or activity. It actually will get worse. Stress fracture pain is also very point tender, meaning the pain is in an isolated area and very sharp when pressing in that area. 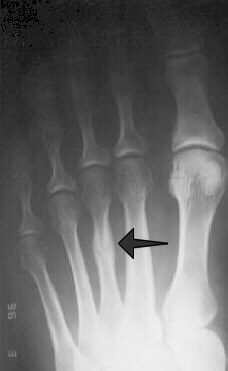 Stress fractures are most common to the fourth metatarsal in the foot, the tibia of the lower leg, and vary rarely in the heel bone (calcaneal stress fracture). Plantar fasciitis is commonly misdiagnosed as a stress fracture too often after a bone scan is ordered for further examination. 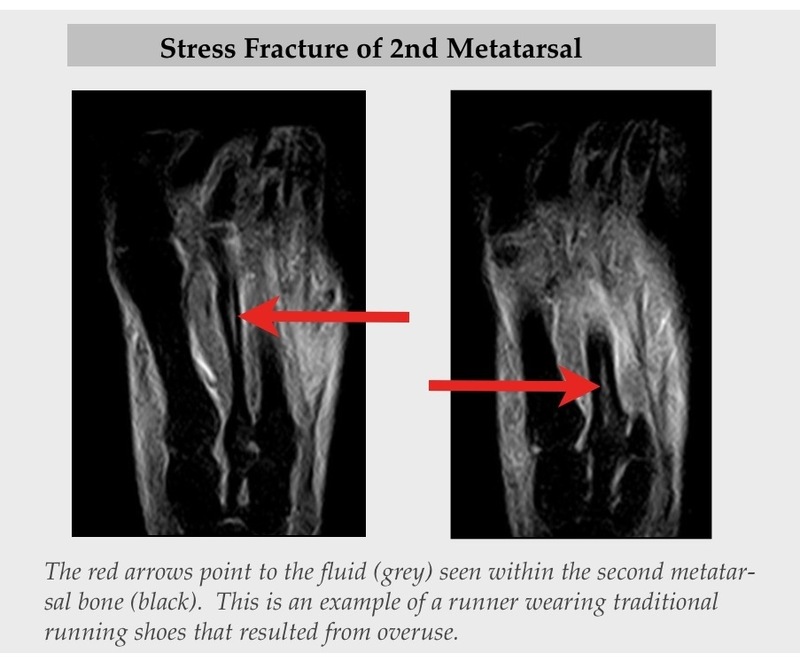 MRI is the study of choice to diagnose a stress fracture when it is being considered in any runner. Many times an xray will not show signs of a stress fracture for 2 weeks when and MRI can show immediate changes. This is crucial because altering training patterns for two weeks when waiting for xray changes can be detrimental for any runner. 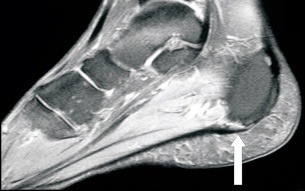 Plantar Fascitis commonly misdiagnosed as a calcaneal or heel stress fracture. Reading this description, I have said tendonitis. I have been getting acupuncture, massage, and icing. Also running, but lower mileage. Seeing a bit of improvement. Any other suggestions? It takes time. Rest and strengthening helps! I had the same issue. It took a lot of low impact training and rest. But after some time it began to improve. Excellent and informative post, Dr. Nick. Thank you! Having just recovered from my first stress fracture (2nd metatarsal) I can attest that your description couldn’t be more accurate. Wish I had read it before my fracture, as I spent the first 2 weeks post-fracture convinced it was a soft-tissue problem! Thanks! Spread the word to others so it helps them! Keep running! Remember many slow miles improves running. It’s not always about going hard. 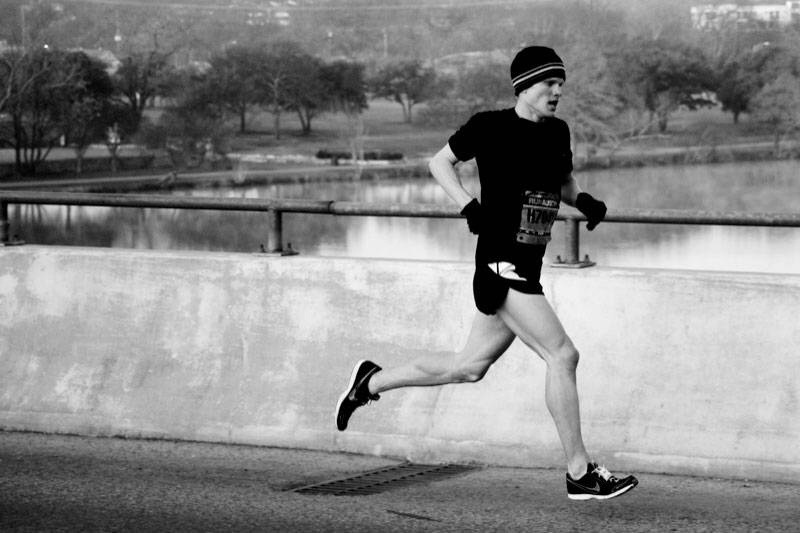 Easy miles builds endurance, speed, and reduces injury. Thanks for this piece! I would like to know if swelling is associated with tendonitis. Yes. You can see swelling with tendonitis or any inflammation. Bey common. I have pain that is very similar to your description of a stress fracture but I have an Olympic distance triathlon in 2 weeks. If I rest it for the next two weeks would it be a horrible idea to try and run it anyways? There are no refunds so that’s why I would like to know if its just pain I could deal with it. If it has extreme potential to get worse then maybe I should just forget about the money I spent on the race. What do you think? I advise getting X-ray and it MRI to rule it out. You could set yourself back by running and fracturing it worse. I would strongly advise anyone who suspects a stress fracture to get it checked out. I had one in in right tibia. I dismissed it as shin splints or tendinitis and continued playing sports on it. Roughly six weeks later I snapped my leg in half.